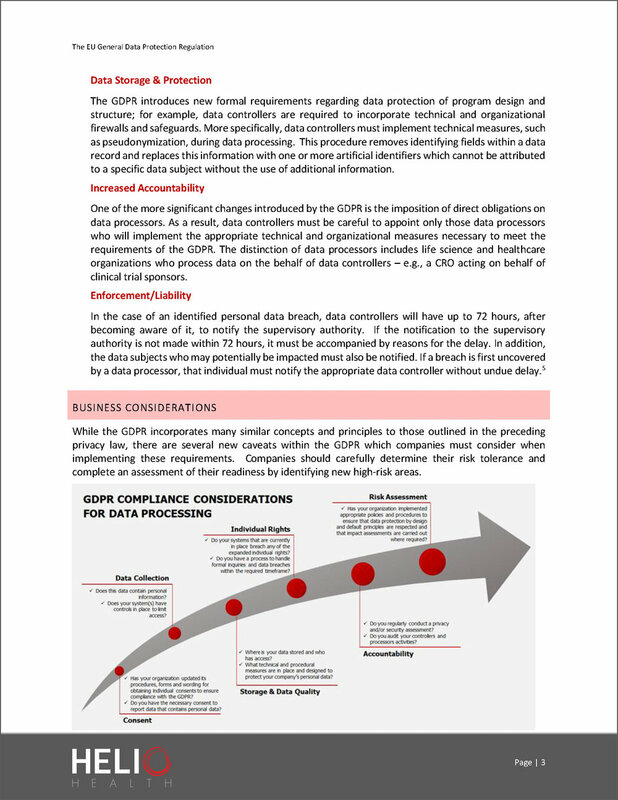 The EU General Data Protection Regulation (GDPR), enacted in April 2016, was designed to replace the 1995 Directive (95/46/EC), enhance data protection for EU residents, and provide a consolidated framework to guide business usage of personal data across the EU. With the deadline to adopt the various GDPR requirements fast approaching (May 2018), some life science companies operating in Europe (including those headquartered in the US with EU operations) appear to be greatly underestimating the impact of new data protection regulation and are failing to adequately prepare. 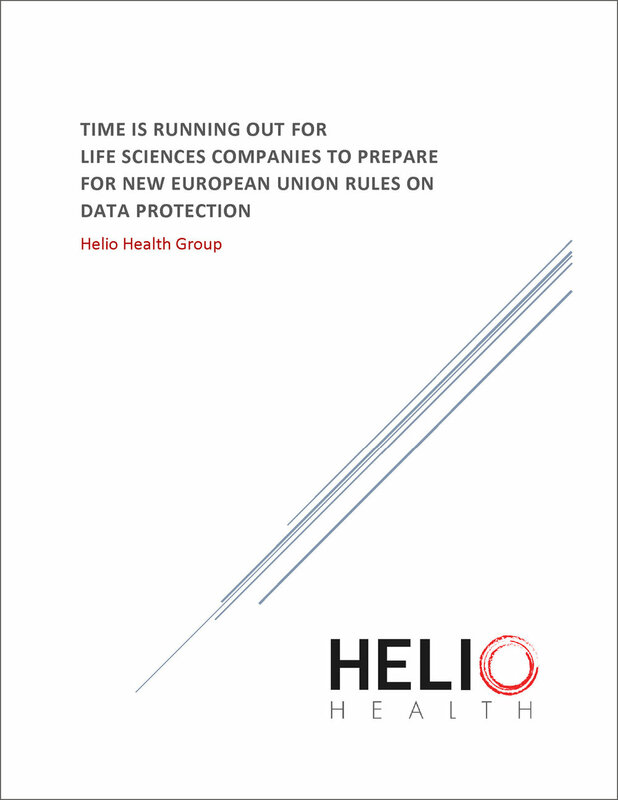 In this paper, Helio Health provides an introduction to the GDPR and considerations for preparing, implementing, evaluating, and enhancing data protection activities according to the new GDPR’s requirements.